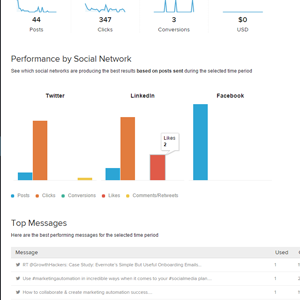 Leverage social media monitoring to identify and engage with prospects and thought leaders. 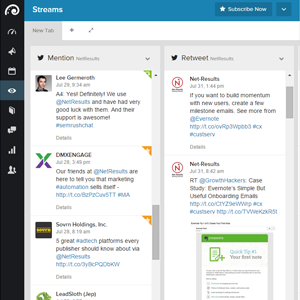 Create live monitors that track keywords, mentions, company pages and more. Reply to feedback from customers and track key competitor activities. 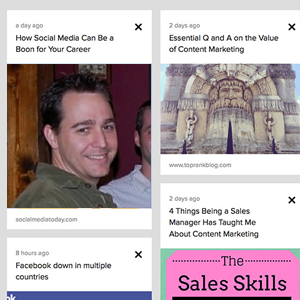 Oktopost suggests content for you to post, directly from the platform, based on how well previous content converted. Never miss a comment that was left on your posts. The Social Inbox automatically checks for comments on your posts, giving you more time to focus on crafting great replies. 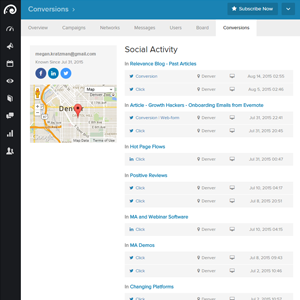 Intelligently manage your social media calendar across multiple social networks. 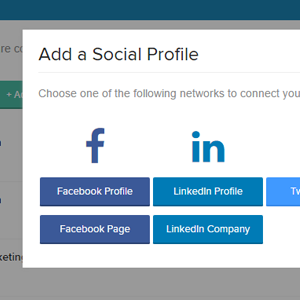 Add your personal profiles and company pages and invite your colleagues to join so you can post on their behalf and expand your brand’s social reach. Coordinate your social media posts by creating campaigns for any objective, such as brand awareness, thought leadership, and lead generation. 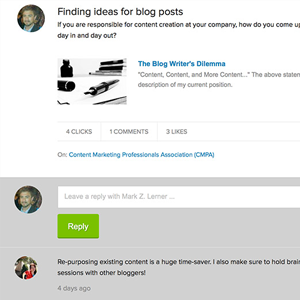 Save time by creating all of your social content in advance. 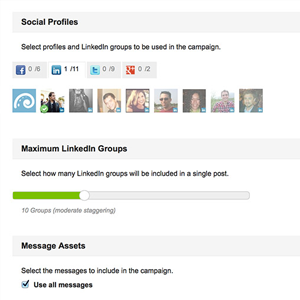 Quickly select saved messages, and publish them across multiple networks in minutes. See how social media impacts your marketing and sales funnel. Understand the level of engagement your social posts are driving and what social strategies are getting you the most attention. 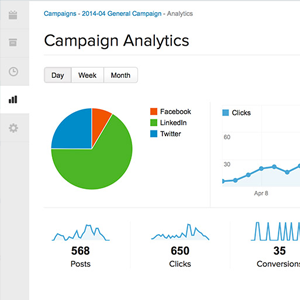 Track conversions generated from social media activities and easily identify which channels and messaging drive results for your business. 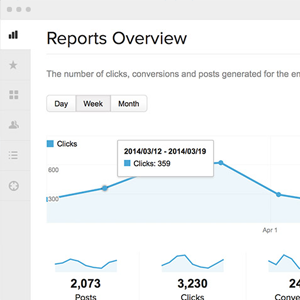 View clicks, conversions, comments and engagement metrics in intuitive charts. Segment data by networks, messages and profiles.